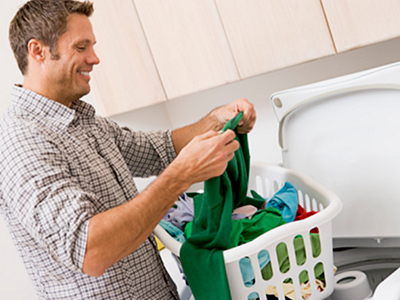 We provide a clean , safe and comfortable environment for you to do you laundry . Large choice of Washers and Dryers . We have high spin washers which give best quality wash and take less time to dry.We are open 365 days of the year from 5am to 9 pm. Last wash 7:30 pm. Leave before doors lock. You can use coins or your own CREDIT CARDS Comfortable air conditioned installations, a sitting area where you can read magazines, catch up on bills or watch TV , WiFi available Laundry supply dispenser, Snack and drink vending machines Ample parking spaces. Read the labels and instructions on and around equipment. You are responsible for your machine choices. Look them over before putting your things inside. When in doubt call us.508-624-5588. We'll help you navigate the machines. Soaps, how much is too much? Nowadays, the majority of the soaps you find in the market are concentrated. Many already have color safe bleach and or softeners. Follow the instructions on your container and make sure you are not over soap. You'll go home with dry soap on your items. Many of us grew up with the idea that in order for something to be clean we needed to see lots and lots of suds. The new generation of detergents use chemical interactions to lift and remove stains. Don't continue adding soap until you see suds. You are overdoing it and wasting your money. You should get the amount of washes your container indicates. When your cycle gets to the rinse step you should not see suds on the glass. The majority of detergents are manufactured to work with cold/warm water. Many machines still offer the option of hot water, but it isn't necessary. Colder water makes your clothing last longer. Use products like Shout, Zout, Oxiclean, Tide to go, or Bi-O-Kleen to pre-treat the spot. Overnight soaking following manufacturer's instructions is also effective. According to Clorox.com you can use 1/2 of cup of Clorox to whiten our laundry. We don't like the smell that lingers when we've used this much. We use the same cup that comes with the soap container to measure bleach. It whitens clothing and avoids that bleach smell. We also use fabric softener on bleached clothing. For more tips on stains visit Clorox.com, Oxiclean.com and stain-guide.com. To brighten clothing we like to use Clorox 2 and Oxiclean. As usual, you must read the manufacturer's instructions carefully and use the products accordingly. Look it up on the internet, but household items like vinegar and baking soda are very good to have handy to neutralize urine and other accidents from clothing. Pre-soaking is best for such incidents. Remove the water before washing. It isn't necessary to use both fabric softener and drying sheets. Choose one or the other. You can add your liquid fabric softener to the machine before starting your load. We see many people waiting until the rinse light goes on to add it manually. We prefer to add it at the beginning. Adding the fabric softener at the end might leave residue. Unfortunately, doing so will stain your clothing once it gets dry. By rule, the optimum fill up will take up 3/4 of the space of the washer. You want room for the water to wet every piece of clothing as well as give the load space to agitate to attain a better wash. The more you divide your load the better and faster it'll dry. You are not saving money or the life of your clothing by packing your load pretty tight on washers or dryers. At Longfellow Plaza Laundromat our goal is to make your laundry experience comfortable and easy. Large washers and dryers. You can just swipe your credit card and start the washers/dryers if you do not want use coins.